Northside is a densely populated, low-income housing project located on the north-most part of Downtown Central SW City? development core. 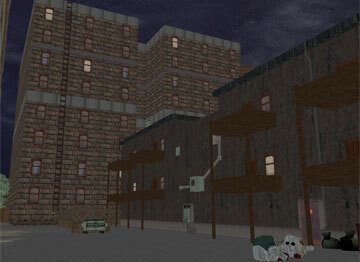 Due to the nature of the development, it has mostly turned into a city slum, similar to the Cirrus Slums, and is a common haven for organized crime and other random criminal activity.